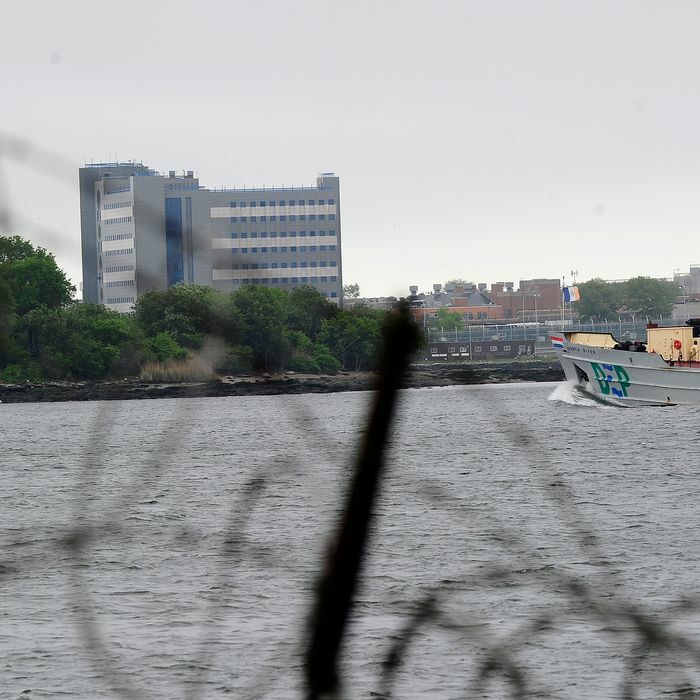 Can Mayor de Blasio Tame Rikers Island? If you’ve tuned into a Mets game on the radio this season, looking for a few minutes of baseball escapism at the end of the day, you’ve been jolted between innings by an ominous bass beat and the even more ominous voice of Norman Seabrook, the president of the corrections officers union. His members, Seabrook says during a 30-second ad, patrol the jails, keeping a lid on “the guy who stabbed your child … who raped your daughter … without us” — dramatic pause — “how safe would you really be?” And now back to Howie Rose. There’s no question prison guards have a dangerous and important job. But today’s Times details how conditions at Rikers Island have grown increasingly violent, with mentally ill inmates the victims of brutal attacks by officers. Over-the-top rhetoric is not unusual from labor leaders, and the most charitable interpretation is that Seabrook’s bluster is a cry for help for his officers. “Norman is not inciting them to beat the hell out of inmates, and I don’t think he wants that perception out there,” one city Democrat who has dealt with Seabrook says. And it’s true that too many guards are the victims of attacks; even more lack the training to cope with inmates who would be better served by psychiatric hospitals. Yet Seabrook’s 9,000-member union has often acted in synch with his tough-guy posture. Last November, the city courts were snarled when mysterious mechanical troubles prevented jail buses from delivering inmates; the slowdown just happened to delay scheduled testimony by a prisoner who’d accused two guards of beating him. In March, both officers were acquitted of all charges. The mayor, in dealing with the city’s unions, has made forging consensus a priority. With the jails and Seabrook, de Blasio’s cooperative style is in for its stiffest test yet.